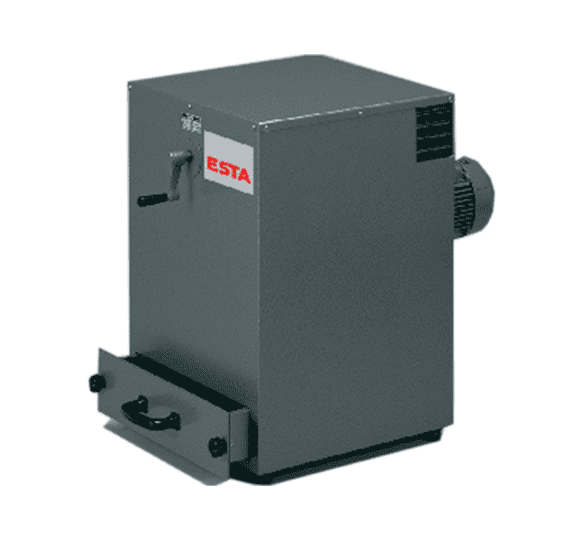 The TK and TK-2.2 models are compact dust extractors for temporary use. The dust-laden air is cleaned through the fabric filter and then returned to the environment. The low overall height makes it possible to mount the dust extractor under the table or on a shelf. Cleaning is carried out by turning the crank handle. Afterwards the filter is free and the work can be continued. Special features of this small deduster are the cleanable pocket filter and the very robust dust collecting drawer.